Outstanding performance on snow and wet roads. Improved traction and braking on snow. The high number of lateral grooves and gripping edges in the tread mean more snow can be picked up, resulting in better grip from the tread. 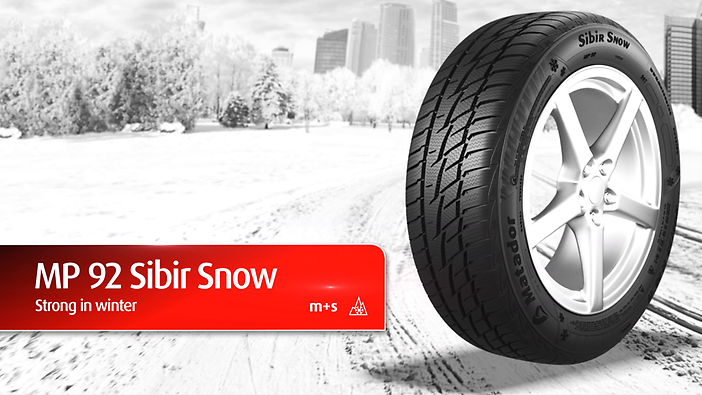 This provides good performance on snow, improving both traction and braking performance. Improved braking on wet roads and good safety against aquaplaning. The tread pattern safely channels water away from the tread. This improves braking on wet roads and aquaplaning performance. Better handling on wet roads. The tyre has good lateral tread rigidity. This results in better handling in wet conditions and optimum steering response in winter.